Listed below are the hardware parts that can be used in order to recreate a complete Kasadaka. Of course, the relevance of the different parts is context-dependent. Necessary parts are a Raspberry Pi, a compatible 3G GSM dongle and a Real Time Clock module. We use a Raspberry Pi 3 B, which runs an adapted version of Debian called Raspbian. The reason we chose the Pi is that it is low-cost, small-sized and has a large social community of developers. The open source character of the Pi allows us to make use of all the packages that are available and promotes collaboration with the developer community. One of the limitations of the Raspberry Pi is that it uses a software emulated clock. This means that when the Pi is powered off, the clock does not keep running. Normally this is not a problem, as the Pi will sync it's clock when connected to the internet. In the context of the Kasadaka, this is problematic as there often is no internet connection available. To solve this issue, we use a Real Time Clock module that we connect to the GPIO pins of the Raspberry Pi. This module has a small battery that keeps it's clock running even when the Pi is powered off. 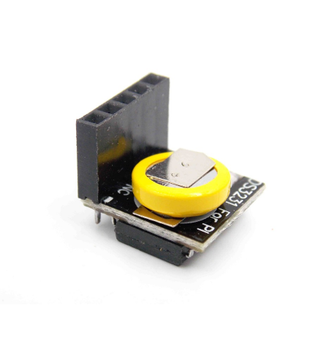 We use a DS3231 module. *Some of the dongles that are supported by the Raspberry Pi: Huawei K3715, E169 / K3520, E155X, E175X and K3765. Also see the supported hardware list. In some contexts it is desired to adapt the Kasadaka by adding extra hardware. For instance a touchscreen, battery backup or solar panel. The chosen screen is from Adafruit and is available in 2.8" and 3.5". There are more screens available, which depends on the service that is developed. Most of the services that were created for the Kasadaka so far did not need a screen. DigiVet for example usees a screen to guide the user through a decision making process. The case on the right side below was 3D-printed and can be found on Thingiverse. There are many cases that can be printed, as well as ready-to-go available screens in many webshops. 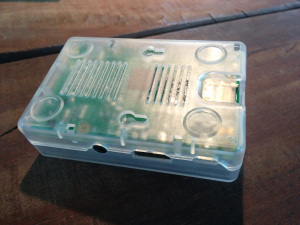 This case was chosen, because it can house both the Pi and a screen (2.8" or 3.5"). 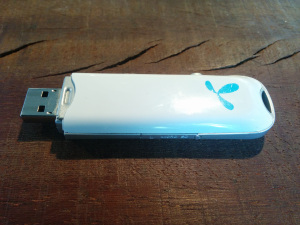 In the middle, there is room for a battery, which gives it a portable character Although the case is not necessary, protecting the Pi and possibly the screen from dirt, dust and water is recommended. The PiJuice Solar was introduced as a Kickstarter project. The PiJuice is a power module, a mobile battery and, if ordered, a solar panel. A disadvantage of using the Pi is that it should be connected to a power outlet. The PiJuice was invented to make the Raspberry Pi portable and is made integrated and convenient. The battery is long lasting, but even better is to use an invinite source of energy: the sun. The PiJuice Solar gives the Raspberry Pi the ability to be charged forever due to the added solar panel, which makes it perfect for remote projects. The fan on the right side below can be added to the Kasadaka if it is placed in a hot environment. The fan significantly cools down the Pi, preventing it from breaking down because of the heat. Then there are the hardware parts that could be added to the Kasadaka in order to give it extra functionalities. The Kasadaka is a rapid prototyping tool, if you would like to develop new services for the Kasadaka, these hardware parts might come in handy. 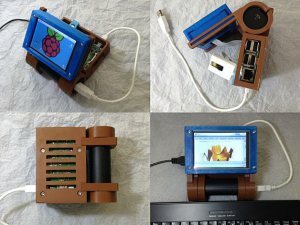 A Raspberry Pi Camera Board in combination with the PiJuice could transform the Raspberry Pi into a portable camera. For instance, in the case of DigiVet (Go to: Services), a camera could be added to offer farmers the opportunity to capture the outer symptoms and behaviors of their sick animals.